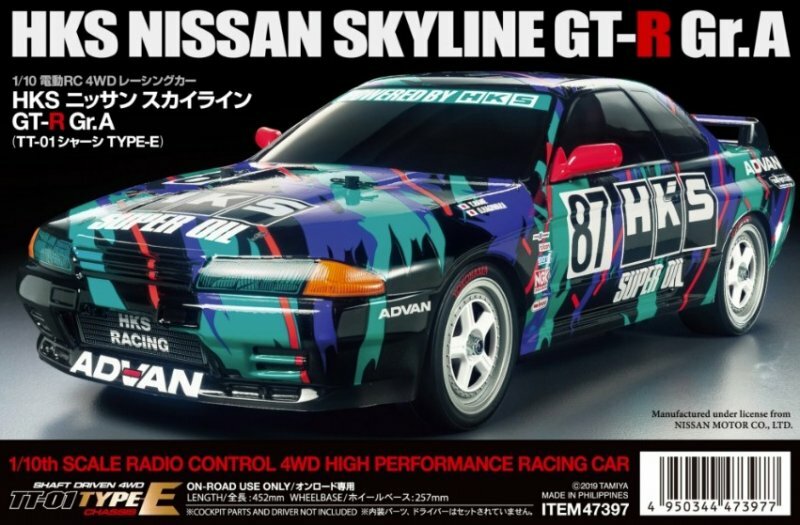 The rare HKS Skyline is coming back! Tamiya 47397 mounted on a TT-01E (according to Tamiyablog). 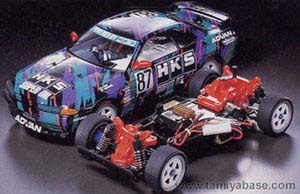 I am looking for such a long time for a HKS going side by side with my Axia. Seems the Nuremburg fair will be interesting this year. I would like to see this body set comming out, it would go nice on my TA05IFS! I hope they release the wheels and body separately. Just the other day I was looking at a photo of this car and thinking I'll probably never get one, so this is a nice surprise announcement. It fuels my hopes for several other body sets from the same period too. Since it's on the TT-01E I guess there won't be the original box art though, just a sticker of it stuck on a standard box. I have no idea why they keep releasing TT01 chassis cars. Does someone know the reason for it? 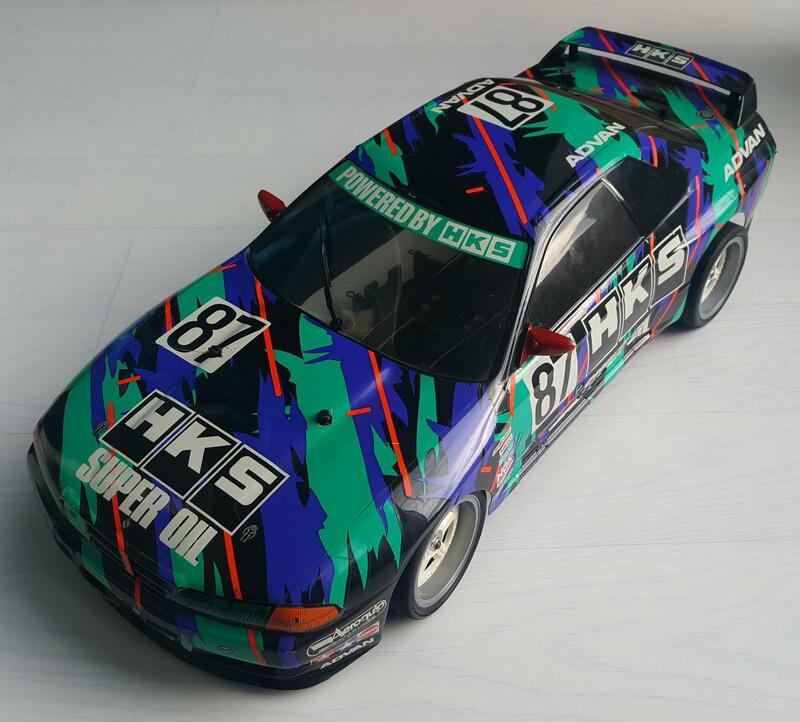 Are they still popular for a basic chassis race series or something? I would've thought a TT02 would have replaced it entirely by now. 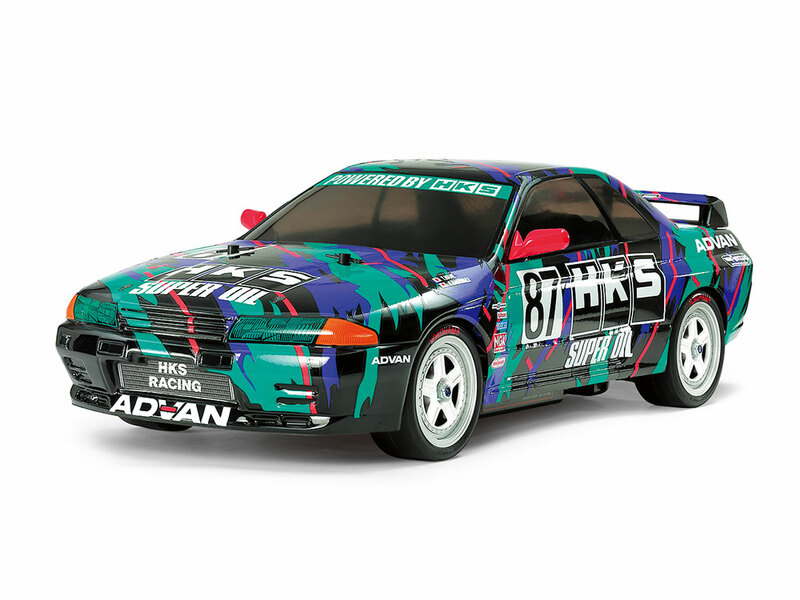 Though part of repurposing existing moulds, I am glad there were so many different Skylines released by Tamiya. I'm of mind to putting one of my 911 ta02 chassis under it and finding the body set for a tgs semi to use on the kit chassis. 911 gets a spare body this way as well. I believe the TT01 can be configured in a short wheelbase (251mm as opposed to 257mm) and a TT02 cannot. I think this is why it’s still around, some body’s are 251mm. The TT02 has the short wheelbase option, and high or low ground clearance and wide or standard tread. As far as I know it does everything a TT01 does but with a few improvements, which is what makes it odd they're sticking with the old chassis. There must be some kind of demand for them despite most cars being switched to the TT02, or, it might be a production line they reopened to keep up with demand they couldn't meet with the TT02 line. Crossing my fingers they offer a SP body set. 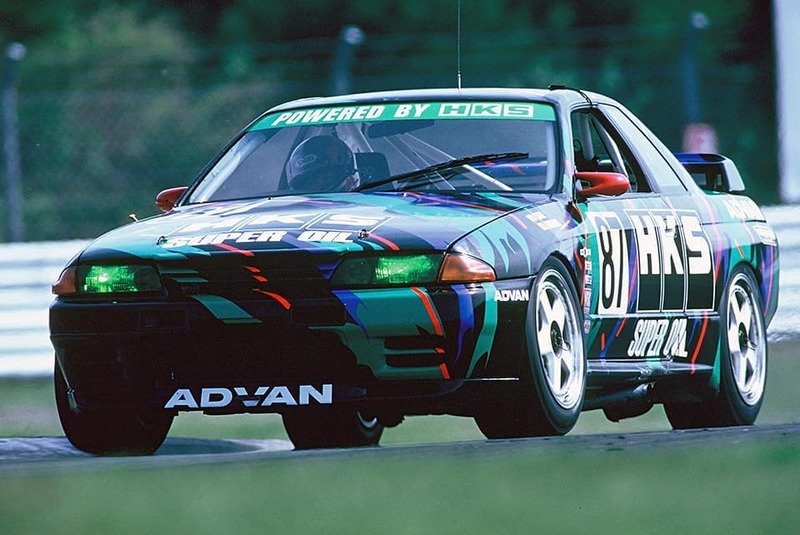 I've always liked this livery more than the other R32 versions. Beyond steel pinions, ball bearings, and CVA dampers, my new standard demand from Tamiya is light buckets for all body sets. It's great to have a decent body and matching wheels, but it feels so incomplete to use decals for lights. At least give us the option of using decals for durability or light buckets for scale accuracy. Cant they just do an R30 instead? Been working on this over the last week. It's not perfect, but boy is it a good looking car. 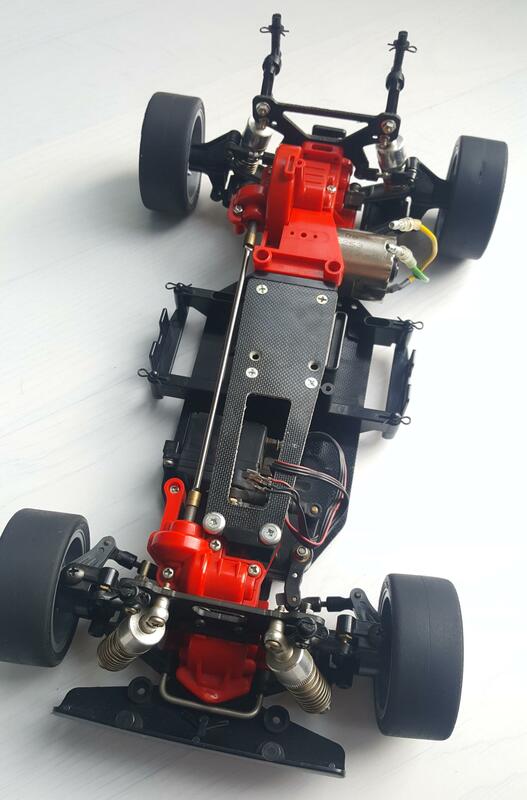 Here's the chassis incase your interested.